ECEFast presents the Excalibur high temperature thermocouples that are ideal for combustion environment applications. The Excalibur is a unique thermocouple that maximises life in high temperature combustion gases of over 1100C. The Excalibur features a cold swaged sheath that is closed at the top and reduced in OD to exclude air from the thermoelements. This process means not all sheath materials can be used. 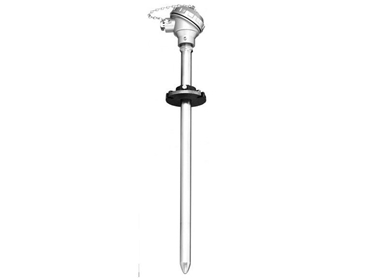 The Excalibur high temperature thermocouples are custom built with a lead time of 5-10 days for up to 50 pieces. For more information on the Excalibur high temperature thermocouples, contact ECEFast or visit their website.